The State Government has launched this Smart Family Card Scheme in order to take the simple Ration Cards to the next level. The old ration cards are automatically converted into the smart ration cards by the Government. The existing ration card holders will receive a PIN on their registered mobile number and they can collect their smart ration cards from the nearest PDS center just by showing the SMS. 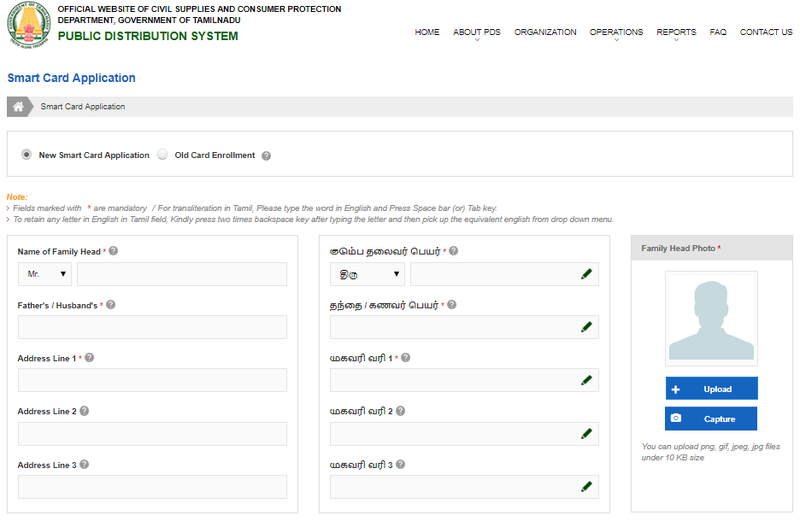 Below is the step by step process to apply online for the Smart Ration Cards/ Family Cards in Tamil Nadu. 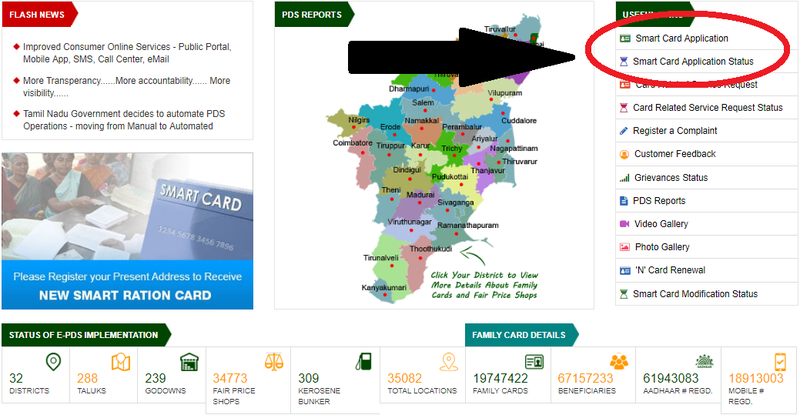 Click on the link mentioning “Smart Card Application”. After clicking on the link, a form will appear immediately on the next page of the screen. Fill in all the necessary details that are asked in the form. After filling in the required details in the Smart Card application, upload the residence proof in the PNG, JPEG or GIF format. Make sure that the image does not exceed more than 2 MB. After you are done with the complete form filling. Click on the Submit Button. After submitting the application form, a reference number is provided which will help you to track down your application status. If you have already applied for the Smart Ration card then you must be provided with a reference number. This reference number is used to check the current status of your application form. 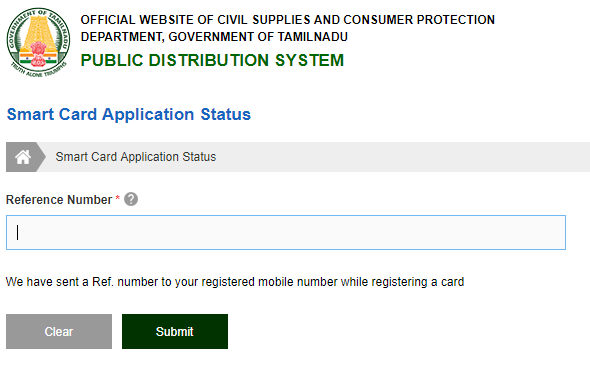 All you have to do is to visit the Official Website of the TNEPDS – Tamil Nadu Public Distribution System and there will be an option in the top most right section of the web page showing: “New Card Application Status”. Click on the link and you will be redirected to the tracking page. Otherwise, you can also take the help of the Smart Card Helpline Number to get the queries regarding your Application Form. The Help-Line Number is toll-free. 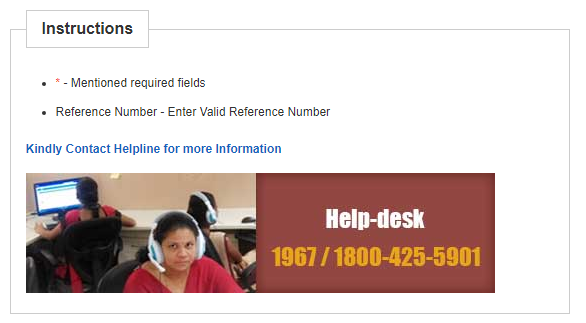 Thus the free Helpline number of the Public Distribution System is 1967 or 1800-425-5901. So, get your Ration Cards upgraded to Smart Ration Cards. More about Smart Ration Card of TNEPDS: How to link your Aadhaar Card with the TNEPDS Smart Ration Card using TNePDS App.